One day at the farmers market, one of our customers came to me and told me that he loves Spice the Sea and he used it in a different way than I suggested. He told me that he fell in love with the flavor of this spice blend because one night he was preparing to watch a movie, he sprinkled some Spice the Sea on the fresh popcorn. The combination of the corn, butter, and the delicious spice blend makes this an addictive snack. The following week he shared this recipe with me and I was open to trying it. Now I cannot watch a movie without my Spice the Sea Popcorn! Put your popcorn bag in the microwave, if your microwave does not have the program for popcorn put it for 1:30 minutes. Place the popcorn in a bowl once popped. You can put the spice blend directly on top of the popcorn and mix it all together. If you decide to add some butter, place the butter in a bowl and melt it for 30 seconds to a minute. Add Spice the Sea to the butter, mix well and pour on top of the popcorn. Note: It is better to eat it hot! 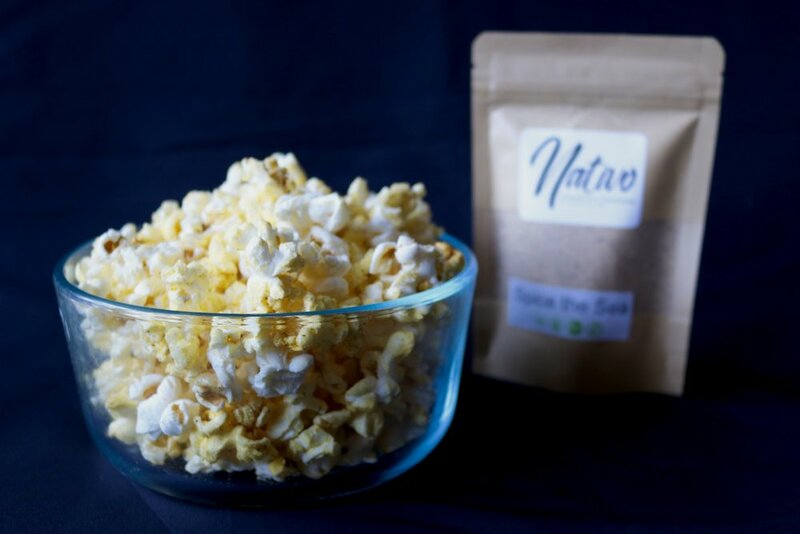 Please let us know if you try this recipe and how you prepare your popcorn.